These first two pictuers are of the same nursery. I love the blues & beiges. 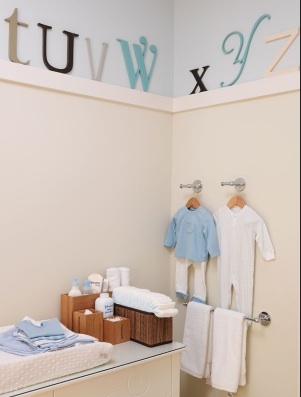 Great soft colors for a little boys nursery. What a great place to put all those letters. It looks like it wraps around the whole room. 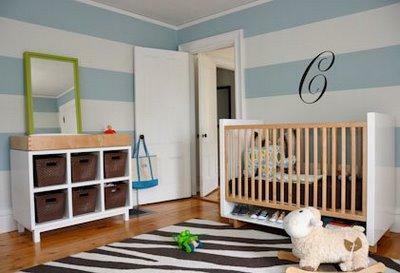 Love the strips in this nursery. 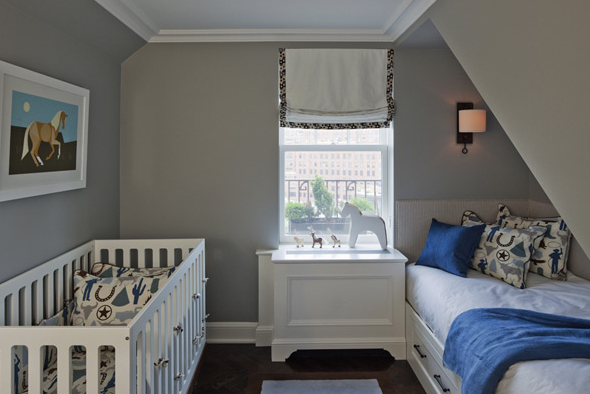 Great storage under the crib & the changing table. Adore the pop of apple green in the mirror. Even though this room has some slated walls, they did an awesome job of making it look like a tray ceiling. I love how they used the moulding with the slant. 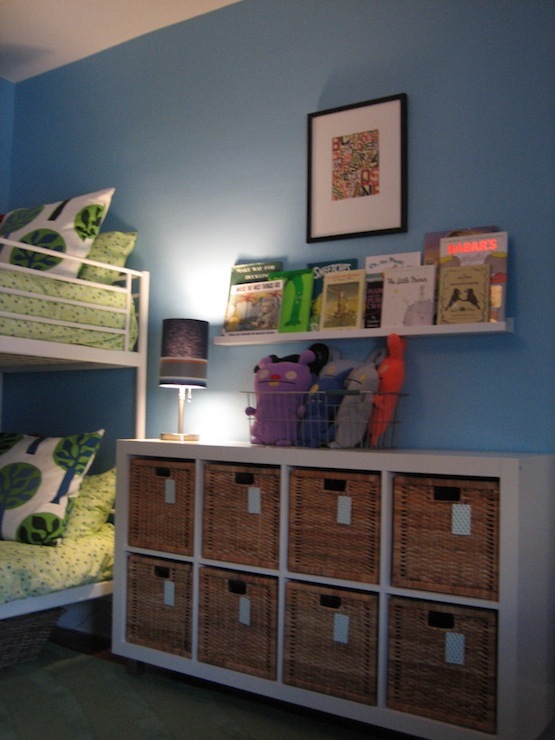 And of course tucking the bed into the alcove area – Love it!!! Hello Nauctical nursery!!! What a great room. Love all the decor. Lots of interest for little eyes. I adore the apple green & blues together. 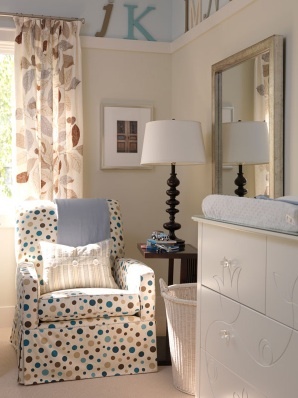 Nice clean & modern room, with just a touch of traditional in the chair. 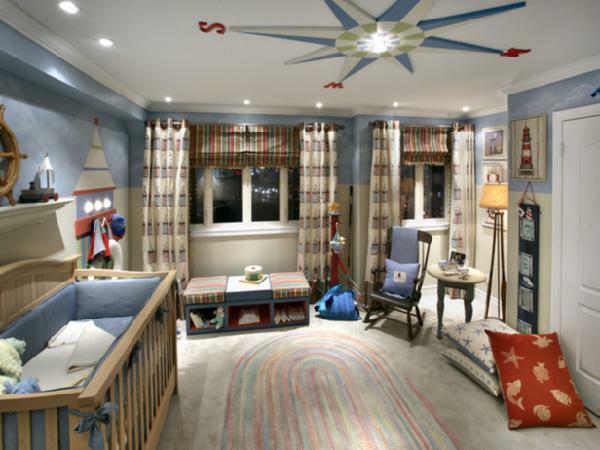 Look at all of the great storage in this little boy’s room. 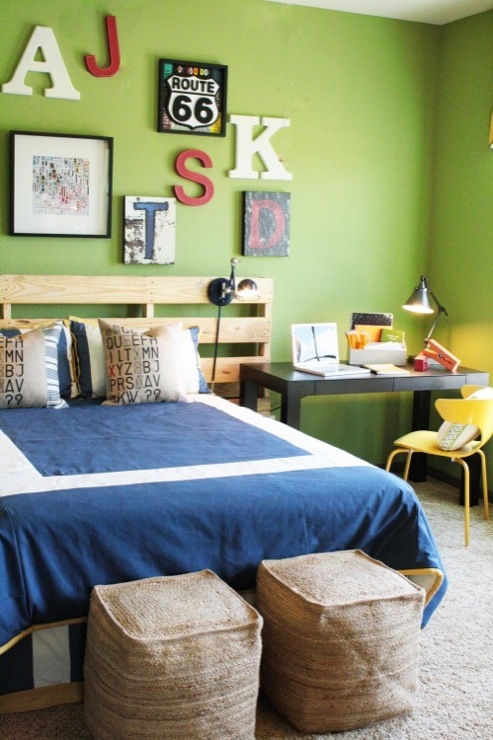 Hear is another apple green & blue colored room. Love these colors together. How great are all those different letters on the wall. The next three pictures are of the same room. 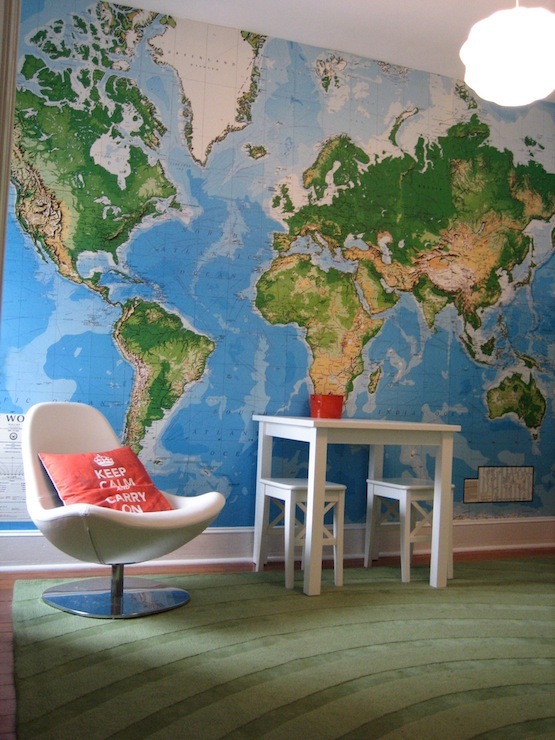 I know maps in kids rooms have become very popular lately, so I thought I would share this one with you. 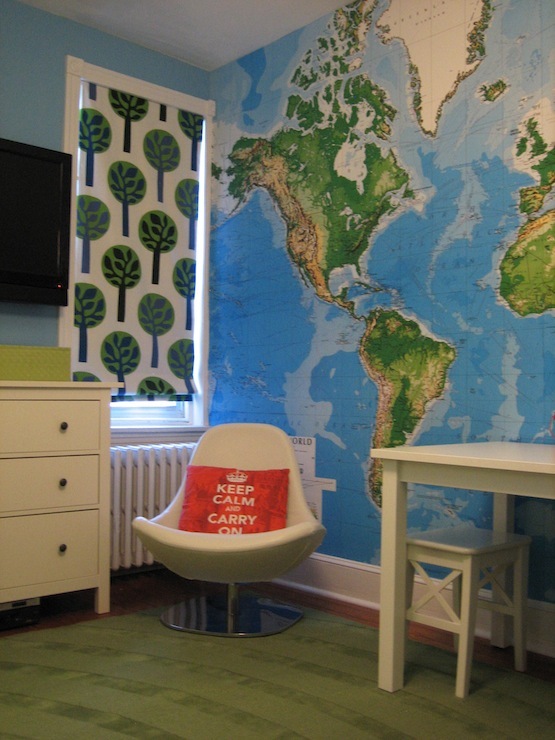 Lots of stuff from Ikea in this room. Can you spy all the Ikea products….there are a lot of them. What a great room. Thanks for stopping by everyone! I would love to hear from you so please leave a comment…..it makes my day.